Google Reader goes away in 6 days! Follow TheRightShoes on Bloglovin now! 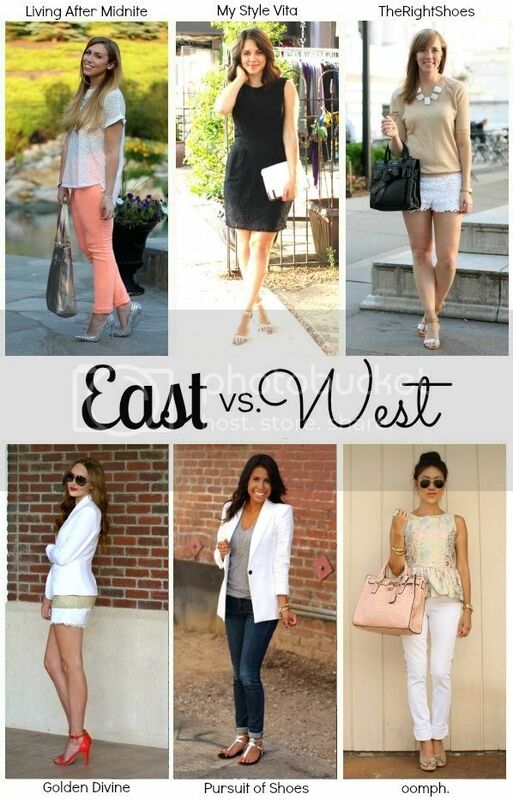 Welcome to week three of the East v. West Style Collab!! This week we are styling our metallic pieces for you - check out everyone's looks below! Seriously LOVE those shorts!!!! Love how all of our looks this week were totally different! 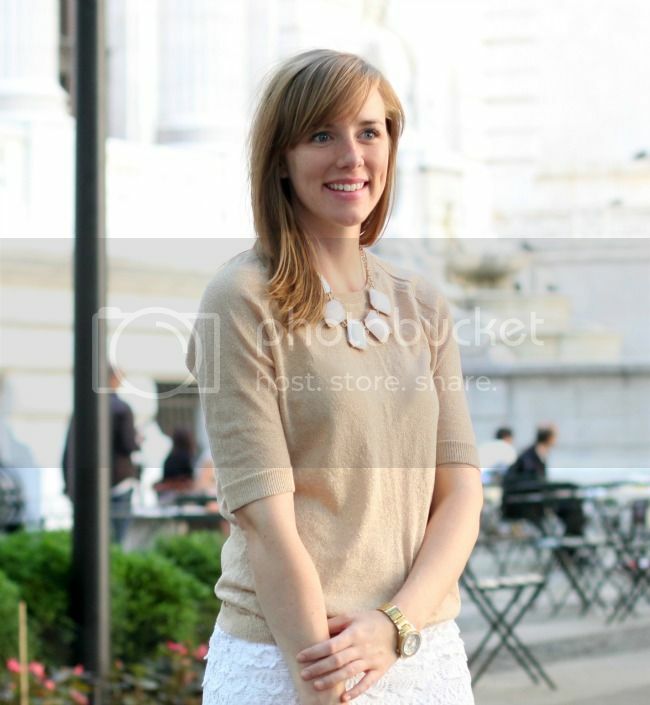 cute shorts, and your shoes have a nice hint of metallic! LOVE your shorts. Your look is my fave! Love this outfit! It's so simple, but so put together! Love your blog! Please do check out my blog too ..
My Current Post: A Week of Outfits!